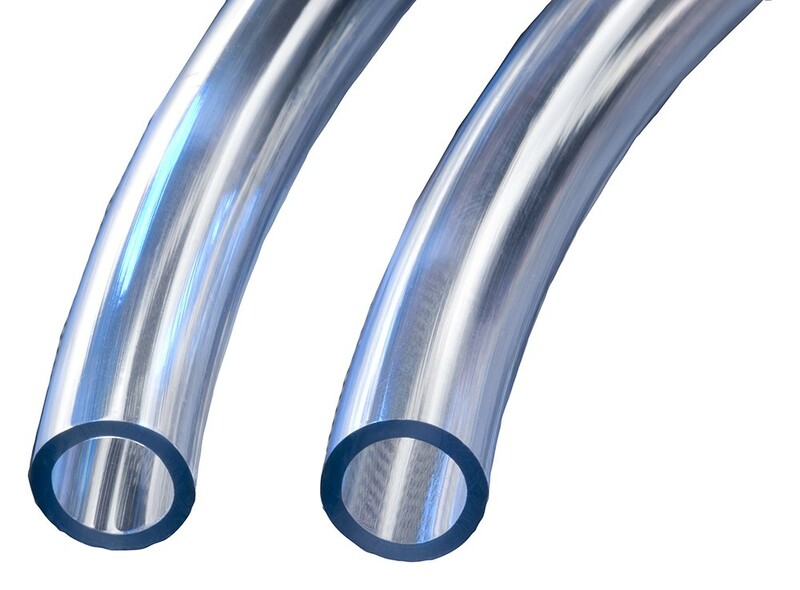 Clear polyurethane ether-based food grade tubing for transfer of air, fluids and abrasive slurries. • FDA - Material conforms to FDA CFR 21-177-2600. 85 Shore “A” Durometer ether-based polyurethane tubing in transparent blue tint. Blue tint 2600 material conforms to FDA(07) requirements. Also in compliance with RoHS(15) requirements. • Abrasion and cut resistance. • Good flex fatigue and resilience characteristics. • Excellent resistance to ozone, solvents and fuel. • Good resistance to hydrolysis and algae. • Slight blue tint allows see-through convenience. • Complies with RMA’s Class A designation for high oil resistance. • Transfer of air and fluids under severe conditions. • Feed and return lines.